Posted on February 1, 2019 at 12:13 pm. Since the plans initial adoption in 2009, there have been three amendments to Appendix D, Map 7, “Recommended Land Use Plan for the Village of Rochester: 2035”, which can be found on page 544 of the Comprehensive Plan document. The land use plan map needs to be updated to reflect these and any recommended changes that come out of the update process. 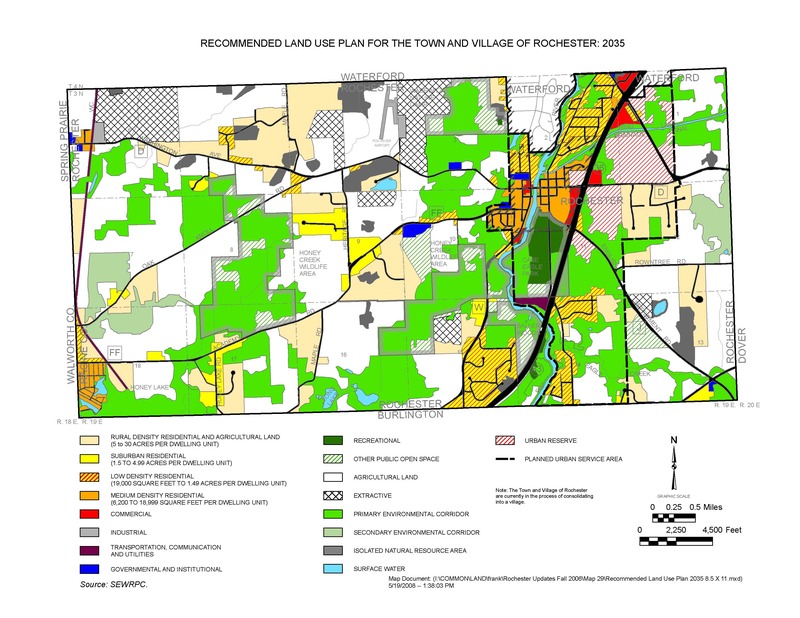 The desired outcome of this project is the creation of a Final Comprehensive Plan Amendment document which condenses and summarizes the most important and relevant Land Use Plan sections from the Racine County Comprehensive Plan into one easy to use document, specific to the Village of Rochester, that incorporates the plan update services requested in the full Request for Proposals. Proposals are due Friday, February 22, 2018 at noon.